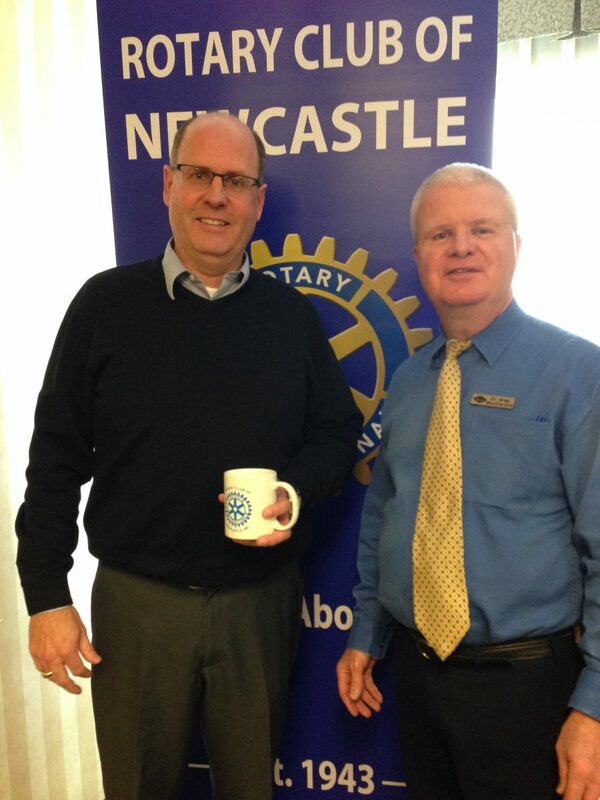 The club was pleased last week to hear from Duane Woods, a native of Campbellton, and President of Kilmer Forestry. After graduating from UNB and starting a career with the Federal Government, Duane was appointed Industrial Commissioner in 1991. In 1994 he decided to leave this behind and joined three Maltais brothers to form Chaleur Sawmills Associate and constructed a sawmill in Belledune NB. Recent developments have seen Kilmer Forestry take over the former Fornebu sawmill and crown land management, to add to the Chaleur mill, which has greatly increased their forestry holdings and involvement in New Brunswick. Duane presented an interesting insight into the current state of forestry, including why everything that comes from a tree starts at a sawmill, as well as the effects of U.S. tariffs. Duane (L) was thanked by Rotarian Greg MacDiarmid (R).